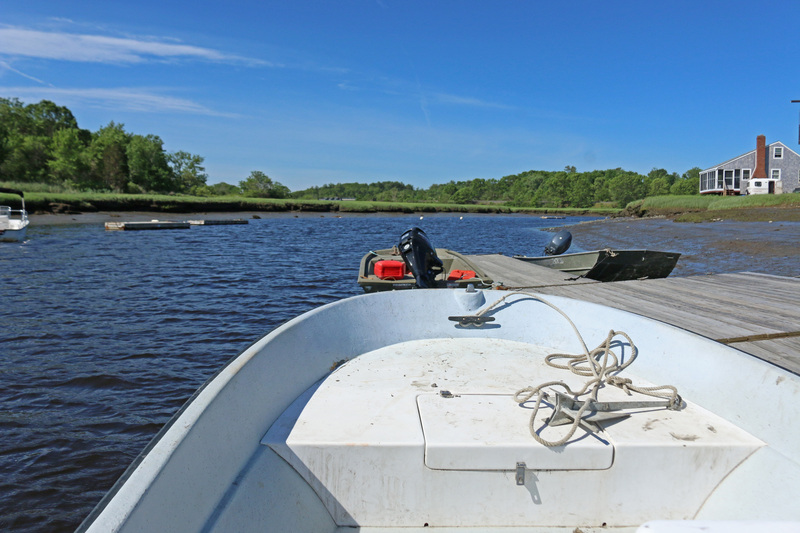 Samuel Kelsey, Inke Forbich, and I loaded into the boat at the Plum Island Ecosystem Long Term Ecological Research site (PIE-LTER) dock. The tide was high, water lapping against the mud banks of the marsh creek. Smooth cordgrass waved slightly in the ocean breezes above the shoreline, showing off their early summer emerald hues. Where the earth rose slightly higher, an oval of trees stretched upwards. Here and there a hunting cabin perched on the edge of the marsh, disconnected from power or water but sporting incredible views from their rough wooden porches. Read the entire blog here!